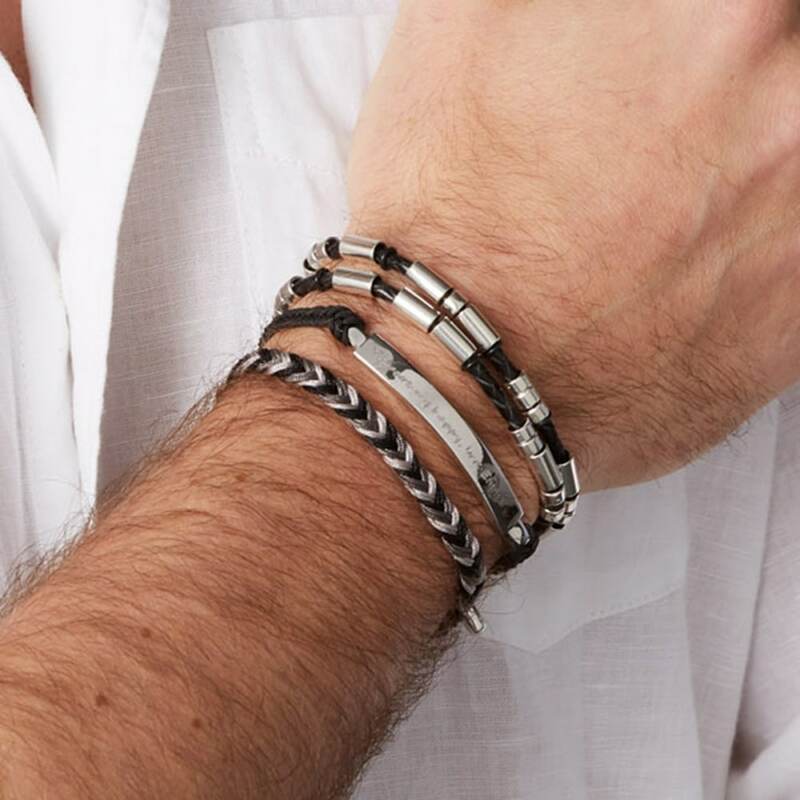 If you are looking for modern jewellery gift for the man in your life, look no further than our Men’s Personalised Plaited Friendship Bracelet. 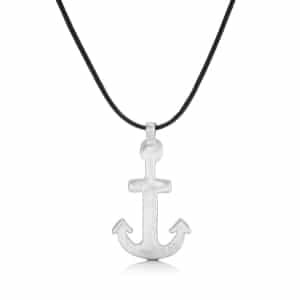 A stunning piece of fashion for the discerning gent, it features a woven nylon bracelet in black, white and grey embellished with a solid silver button that can be engraved on both sides with the text of your choice. 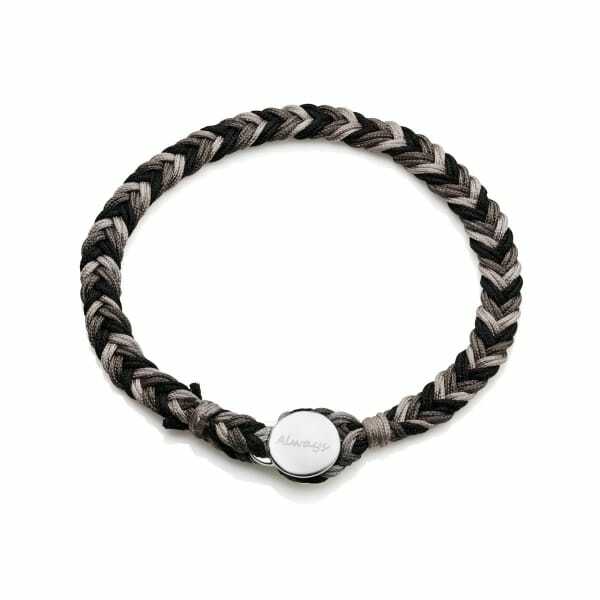 A great gift idea for brothers, boyfriends, and sons, this Personalised Plaited Friendship Bracelet coordinates effortlessly with professional workwear, weekend casuals and sporting attire, and it is designed to keep up with the demands of a busy lifestyle. Coordinate with the matching women’s friendship bracelet in our exclusive online collection to create the perfect ‘besties’ jewellery set. If you would like a HEART SYMBOL engraved, please copy and paste this symbol ❤ into your message, other symbols are available on request.